Onboard Oil Change Systems: FLO Components; Centralized Fleet Fluid Maintenance Systems, PERT, QuickFit, QuickEvac, MultiVac, PreLub. – FLO Components – Automatic Lubrication Systems Specialist in Ontario and Manitoba. Onboard Oil Change Systems: FLO Components; Centralized Fleet Fluid Maintenance Systems, PERT, QuickFit, QuickEvac, MultiVac, PreLub. For a lot of fleets, routine maintenance has become anything but routine. Keeping your fleet in peak operating condition shouldn’t be so difficult. Machines sit idle for hours during “simple” oil changes. Technicians risk injury removing hot filters and climbing under or around the machines. Hot oil spills endanger your technicians AND the environment. The solution? The QuickFitTM system. The QuickFitTM system is a simple and effective way to change oil, transmission and hydraulic fluids without taking too much time, risking unnecessary injury or facing environmental fines. 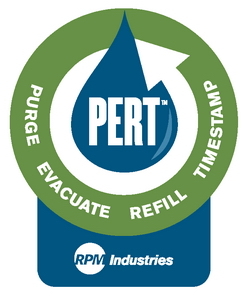 The QuickFitTM system utilizes the state-of-the-art PERTTM process to Purge the filters, Evacuate the sump, then Refill the engine via its new filters and automatically Timestamp the service event. With just one fitting per compartment, the QuickFitTM system allows you to service most machines in less than 30 minutes. 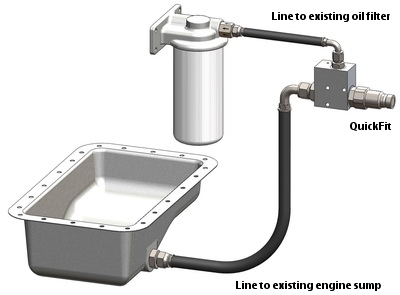 Filters are easily purged to eliminate hot oil spills, then automatically filled and new oil is completely filtered for improved continuous contamination control. The optional timestamp feature can automatically record the service and enables you to efficiently manage fluids for engines, transmissions and hydraulic reservoirs. The QuickFitTM system makes fluid maintenance cleaner, safer and faster for ALL makes and models… AND it’s repeatable, so it’s easier for you to schedule and plan routine PM services. Simply put, routine maintenance becomes routine again. Maintenance becomes simple. Productivity goes up. The risk of spills and contamination is virtually eliminated. Up to 35% of service-related injuries on heavy equipment can be attributed to technicians climbing on, off or under the machine. With the QuickFitTM system, there is virtually no need to climb under machines to remove belly guards or position/remove drain pans during routine maintenance. With ground-accessible service points, your technicians can purge old systems/filters, evacuate compartments and refill all from a single point. They also get a “live dipstick read” on the engine’s oil level without climbing up on the machine, starting the engine, shutting down and then topping off the levels. Fewer steps mean less chance of error and injury. The QuickFitTM system purges fluid from the system/filters and evacuates fluid from the compartments directly to final containment, preventing spills. It’s a completely closed loop, environmentally friendly process. No dripping filters. No drain pans. No intermediate containers. The QuickFitTM system saves you time and money while increasing machine availability by automating fluid management (PERTTM). QuickFitTM allows you to do a complete engine oil and filter change in less than 30 minutes, or a complete 250- or 500-hour service, including greasing, oil samples, and inspection, in about an hour. You reduce typical PM times by 1.5 to 2.5 hours per service. It also increases technician capacities… you can do more with your existing people. 91% reduction in time spent climbing up + down the machine because the QuickFitTM fitting is at ground level, which results in fewer trips, slips and falls. Since the oil is drained through the QuickFitTM fitting, there is no crawling under the machine to handle the drain plug. 35% reduction in temperature of the oil and the oil filter canister because the service is done with the engine off, so there are no burns. 91% reduction in time spent bending + lifting and 79% reduction in walking to perform service means the technician is “less tired”. QuickFitTM is a closed-loop system, so there are NO spills. 90% reduction in rags and absorbents needed to clean up. QuickFitTM is part of a family of fluid management solutions, so as your equipment needs change, it’s not a problem. Need onboard, self-contained service capabilities to support remote sites or multiple field locations? 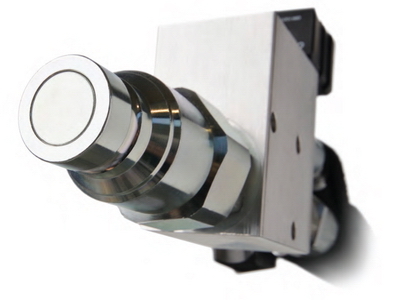 QuickFitTM systems can be upgraded to QuickEvacTM or MultiVacTM systems. The QuickEvacTM system combines engine evacuation with engine pre-lubrication, making machines fully self-contained and ideal for remote location servicing. The MultiVacTM system expands those capabilities to transmissions, differentials and hydraulic fluids for the maximum in remote service capability. *QuickFitTM, QuickEvacTM, MultiVacTM and PERTTM are registered trade marks of RPM Industries LLC. Keep your fleet out on the road making money. Contact us now to find out how small an investment is needed to start saving money and increase productivity.